What a compelling photograph by Mohd Irman Ismail as part of National Geographic’s Photo of the Day. When I spotted it earlier this week I just knew I wanted to showcase it on MotD. I love that Mohd shot this photo in black and white; it makes it that much more powerful and dramatic. 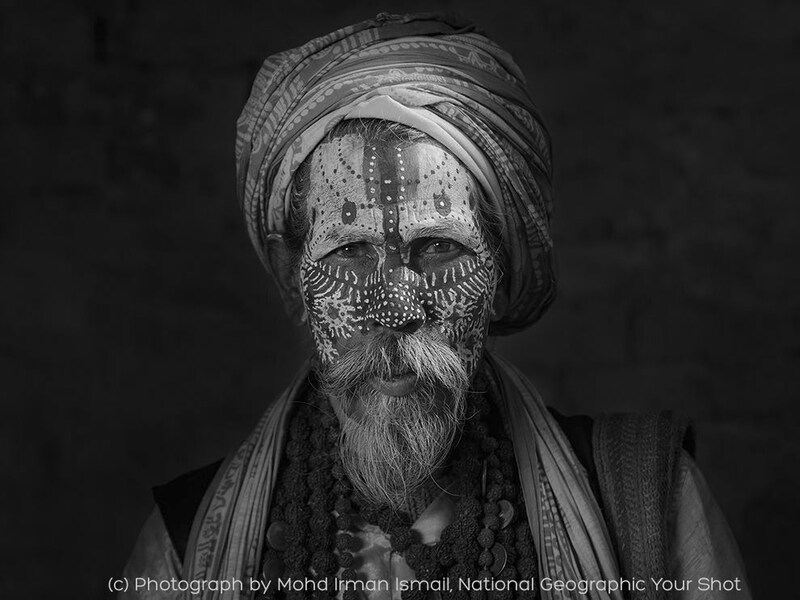 As for the portrait itself, the mandala symbolism permeates this entire man: the wrapping of the fabric around his head, the beads around his neck, the dots around his face, the mandala designs on his cheeks, the dots that form circles on his forehead, the curve of his lower lip, and of course, the eyes…those deep, penetrating all-knowing eyes.